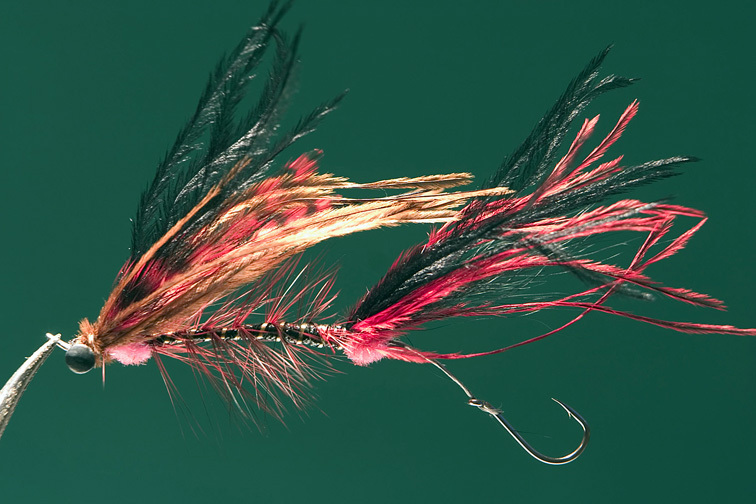 The Prussian Carp fly is tied on the offset hook; it is invented for the fishing near the bottom, in the rocks and logs, mainly for Mandarin bass. The author of this idea is Andrey Bondarenko, Khabarovsk, Russia. 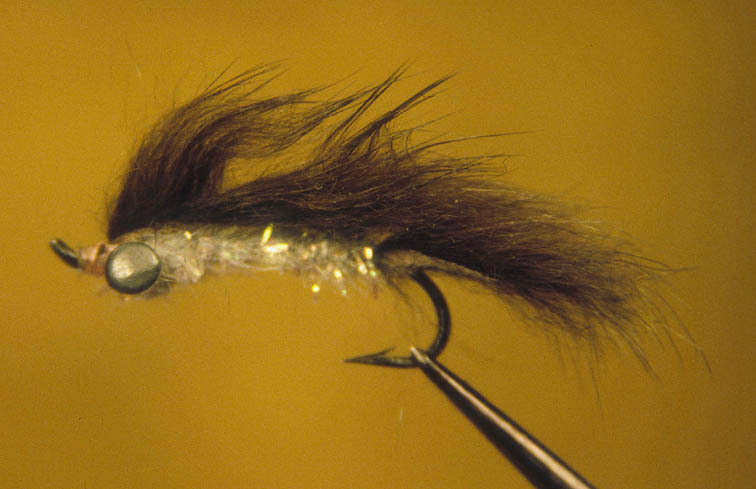 A common Wooly Bugger was and is one of the best flies ever invented. A good addition to the Bugger for fishing in any salmon river will be an «egg» out of a pink or orange bead. The Mega-Diver was invented in Canada for pike. This combination of colors is good for the fall fishing for pike and also for lenok which tends to enter the stagnant bays in October, before the freezing. The presentation should be slow, with jerks and pauses. 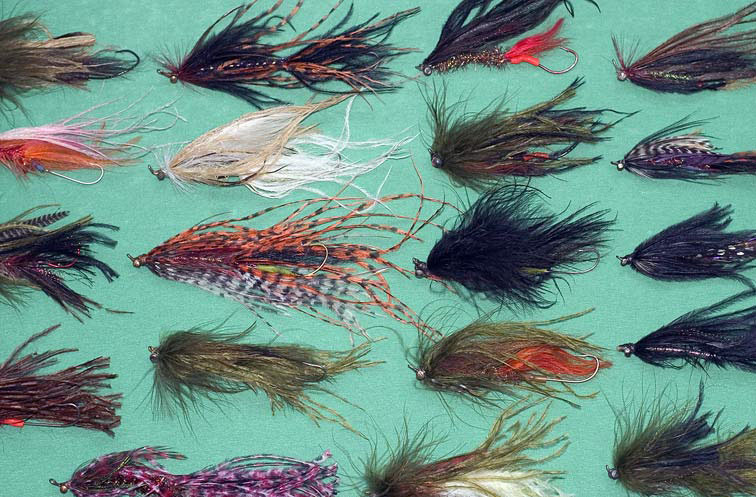 The fly named Cossack is designated for Pacific salmon, coho and chum in the tributaries of the Sea of Okhotsk. This variant of a Zonker named Mikizha was working well for the cherry salmon and trout in Kamchatka. The fly was invented by Guido Rahr III, Portland, Oregon. 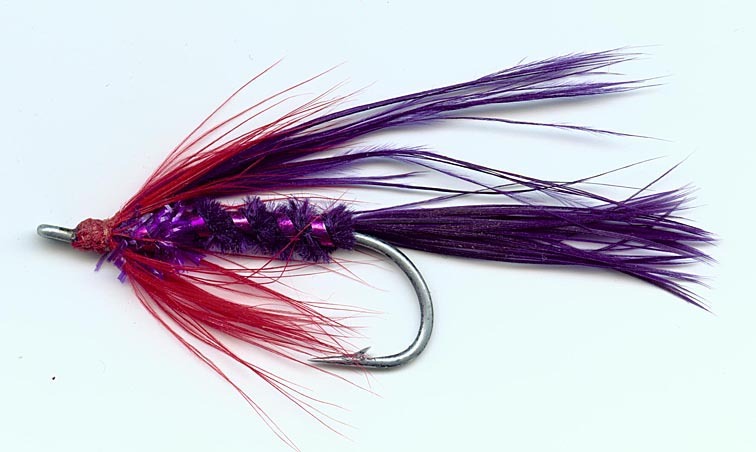 Intruder is a complicated fly which is attractive for different predators such as taimen, pike, and lenok. 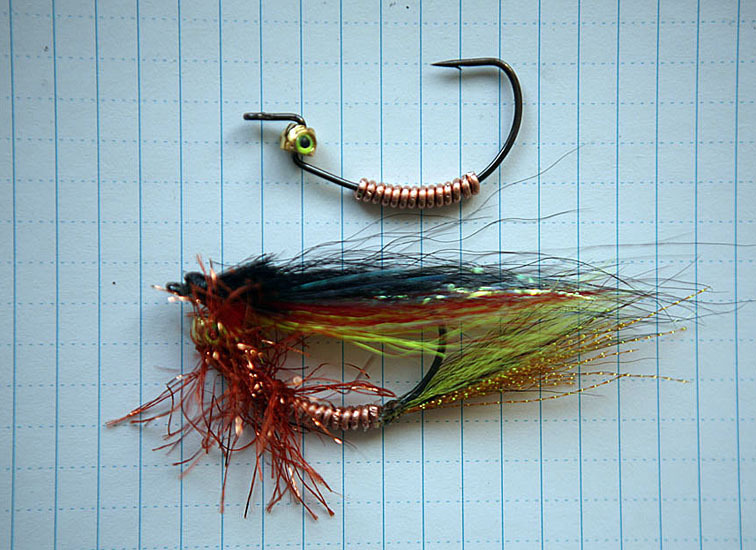 It also works well for Kamchatka steelhead. This Intruder is tied in the colors which are good for taimen — both Siberian and sea-run; these predators like the combination of red and black. 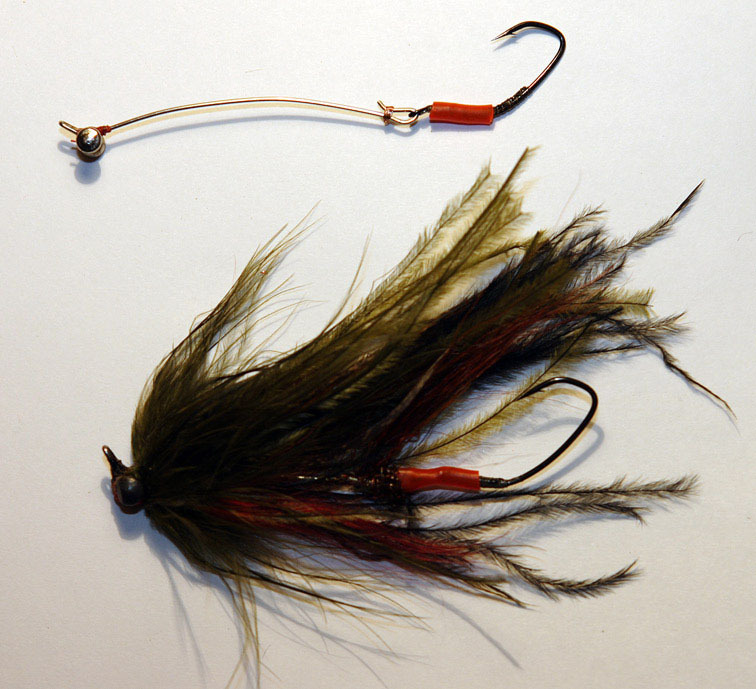 This type of Intruder has a loop of a braided spinning line in the back, and a short hook is looped into it. This is one of the ways to rig the Intruder fly. The wire back in its rear part is forming a loop which serves as a clip for the hook. The connection is reinforced with several wraps of thin copper wire; a thin rubber sleeve is put on top of a clip and hook eye.